This article first appeared at City Journal. Over the last half-century, Houston has developed an alternative model of urbanism. As the New Urbanist punditry mounts an assault on both suburban growth and single-family homes, Houston has embraced a light regulatory approach that reflects market forces more than ideology. But last year’s Hurricane Harvey floods severely tested the Houston model. An unprecedented four feet of rain in four days —a year’s worth, the greatest rainfall event in recorded U.S. history—overflowed the banks of every channel in Harris County, flooded nearly 100,000 homes (7 percent of the housing stock), and created an estimated $81.5 billion in damage, the nation’s second-largest natural disaster after Hurricane Katrina. Coupled with a downturn in the energy industry, which saw the loss of some 86,000 jobs last year, Harvey’s aftermath suggested that the region’s growth period had come to an end, with stagnant job growth and domestic migration. The battle within Houston boils down to emphasizing regulatory restraints, rather than infrastructure, as the best means to meet floods and hurricanes, which some expect to worsen with climate change. 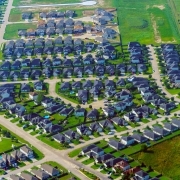 The smart-growth lobby generally sees raising elevations for houses and reigning in “sprawl” as the best solution to the city’s environmental challenges. 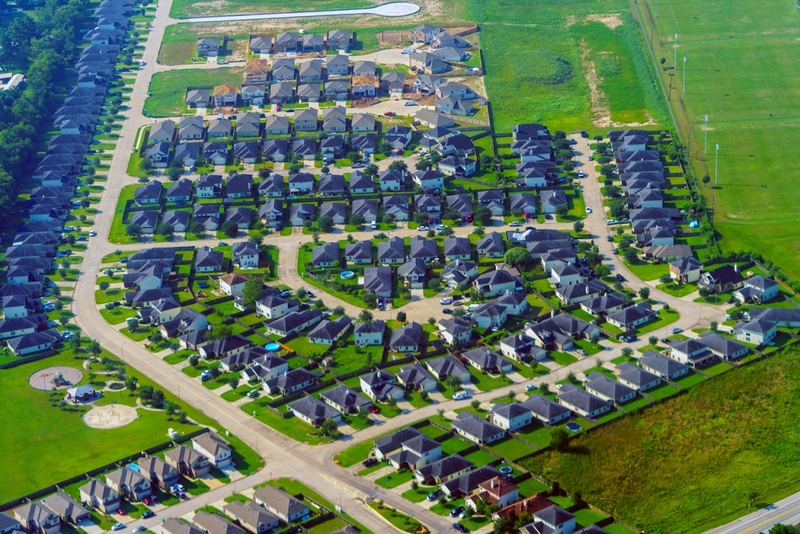 Concern over suburbanization runs high: the Houston Chronicle opined that steps such as building a proposed third reservoir might be inadvisable, since it could enable new peripheral development. These views reflect the conviction that the severity of flooding was largely due to the paving over of the Katy prairie west of the city. Yet an analysis of the run-off by Meyers Research showed that the area’s natural soils, with their poor suitability for retention, would have absorbed only 4 billion gallons out of the 1.6 trillion gallons that fell on Harris County, a savings of a mere .25 percent. “Anyone suggesting that more wetlands or more pervious surfaces would have done anything to mitigate what has just happened is lacking a proper sense of scale,” says Charles Marohn of the media organization Strong Towns. ‘Chinafornia’ and Global Trade in Age of Trump One in Five Californians Is Poor. Housing Prices Are to Blame.